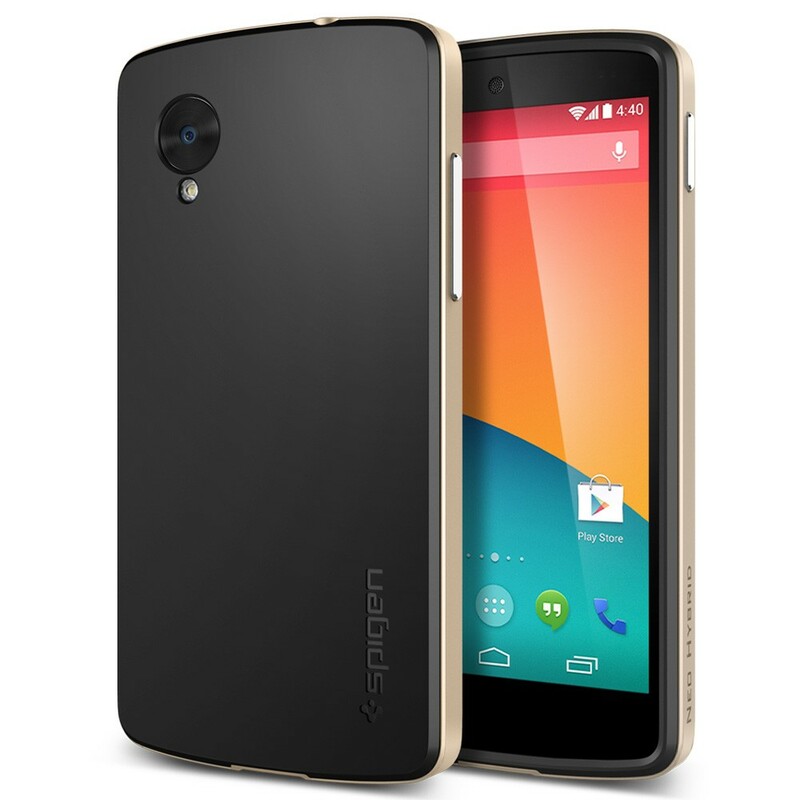 Contest: Win a Nexus 5 Accessory Bundle From Spigen! Our friends at Spigen have realized the importance of having accessories available at launch for devices like the Nexus 5. Their launch day line-up includes three different screen protectors and three different case types, all in a variety of colors. As long-time followers of the site know, we have been fans of their high-quality and ultra-slim cases for some time, so seeing a handful already available for the new Nexus brings a sparkle to our eyes. So, what do you say we give some away? For the contest, Spigen is handing our three prize packs that include a Neo Hybrid case (in Champagne Gold), a Slim Armor case (also in Champagne Gold), and a GLAS.tR SLIM tempered glass screen protector. That’s a combined value of somewhere around $90, all of which will be handed out to three DL readers. Ready? 3 (three) prize packs that include a Gold Neo Hybrid, Gold Slim Armor, and a GLAS.tR SLIM tempered glass screen protector. Winners will be chosen at random by our friends at Spigen on Friday, November 8.